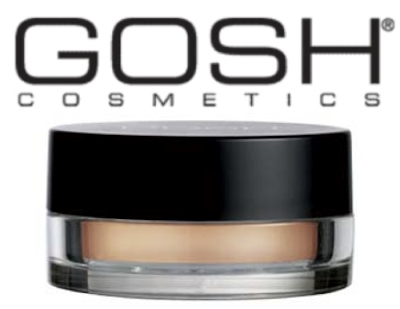 Annie Jaffrey: Cover Me Up Mousse - Gosh Cosmetics! Cover Me Up Mousse - Gosh Cosmetics! “Oh my Gosh!” was my first reaction when I tried on this ultra lightweight mousse foundation. The second you apply a small amount to your face, it heavenly melts into your skin making it appear airbrushed, silky and perfectly flawless. It is soft and super luxurious to the touch. I am not a big fan of many liquid or cream foundations due to the “heavy” feeling it leaves on your skin, but when wearing this light mousse, your skin feels like it can still breath and your natural glow still shines through, which is very important to me. Even though there has not been much advertisement for this product, it has been a long time favorite of countless beauty gurus around the world and I am so happy I finally tried it! This product gives medium to full coverage, without weighing down your skin. It is also buildable, so it’s perfect for areas with scars or blemishes. To set this mousse, I lightly apply MAC Mineralize Powder and set it with setting spray. This will make your foundation last for a good 10 hours. I recommend this for all skin types due to its light and airy texture. This is a waterproof formula, so it will not cake up or fade during the day. I have oily to combination skin, which is very sensitive, and this has not made my skin shiny or caused me to break out. I have medium to tan skin (NC 45 in MAC), and I use shade “Honey” in this mousse. They also have a shade called “sheer” which applies beautifully to most skin tones ranging from light to tan.